Tibetan Buddhist nuns writing their Geshema exams. Photo via the Central Tibetan Administration. 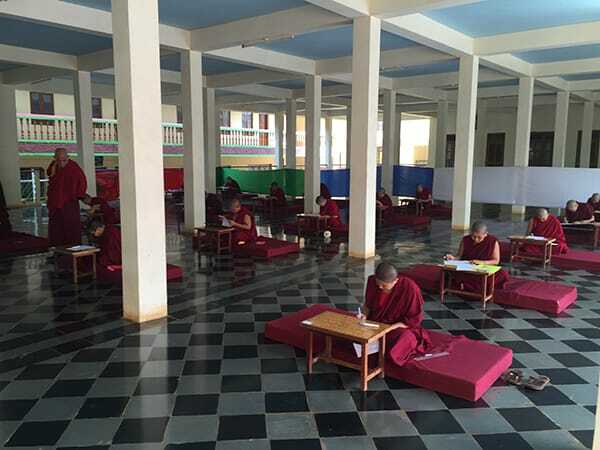 This week thirty-eight nuns in the Tibetan Buddhist tradition are undergoing exams toward their geshema degree, the monastic equivalent of a Ph.D in Tibetan Buddhist studies. Until a few years ago, the degree was only bestowed on monks (it’s known as a geshe degree when awarded to men). 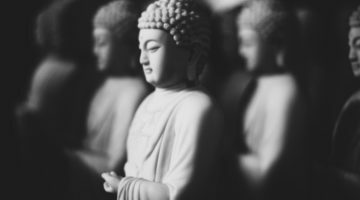 In 2011, German Kelsang Wangmo, who spent twenty-one years training in India, became the first female to receive the geshema degree and title. 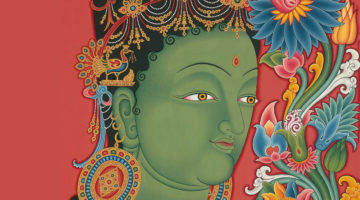 The following year at a high-level meeting organized by the Department of Religion and Culture of the Central Tibetan Administration, Buddhist leaders agreed to honor geshema degrees for women, with the support of the Dalai Lama. The exams currently underway include debate and written tests on important texts and form part of the third Geshema Examination. Twenty-one nuns will be eligible to receive the geshema degree next year following the fourth Geshema Examination. 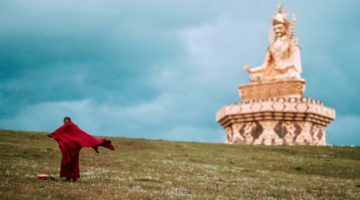 Read about Kelsang Wangmo’s journey to becoming the first woman to hold the geshema degree in this article published by Buddhadharma.